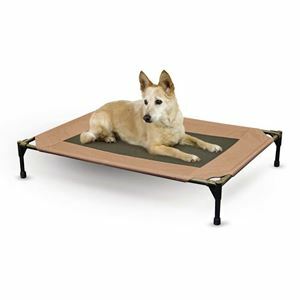 K&H Pet Products Pet Cot Large Chocolate 30" x 42" x 7"
The easy to assemble K&H Pet Cot requires no tools! Can be disassembled and taken anywhere. The raised mesh cot cools your pet while keeping them off the ground. For indoor or outdoor use. Dimensions: 30" x 42" x 7"